Chief Product Officer, HMD Global, Juho Sarvikas today finally took the wraps off from Nokia 9 PureView Mysterious Blacked Out Sensor. 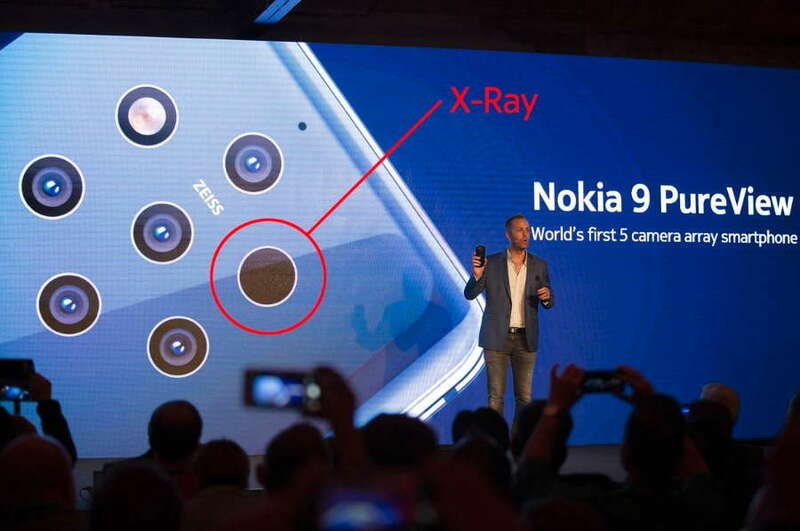 Juho via its official tweet today revealed saying that, so many people have asked about that Blacked Out sensor placed along with other camera sensors on the newly launched Nokia 9 PureView and he finally revealed that its world’s first X-Ray Sensor ever provided in a smartphone. Juho also revealed that there will be a new stand-alone Nokia X-Ray app in Play Store, that will be available soon and will unlock this new capability using the Nokia 9 PureView. As its name suggests, the new Nokia X-Ray app will allow Nokia 9 PureView users to take X-Ray of their hands, fingers, etc. As shown in the images above, the users will be able to take X-Ray by taking their Nokia 9 smartphone and using the app over the hand and the app will scan and provide them the X-Ray result of the hand. Notably, the main highlights of the Nokia 9 PureView include a Five camera setup, In-display fingerprint sensor, Snapdragon 845, 2K resolution QHD+ pOLED display, wireless charging and more. In the camera department, the Nokia 9 PureView features a five ZEISS rear camera setup, which includes, two 12MP f/1.8 color sensors (RGB), and three 12MP f/1.8 monochrome sensors. Up front, there is a 20MP shooter. The Nokia 9 PureView includes a USB Type-C port and 3320 mAh battery that also comes with Qi Wireless charging support. The Nokia 9 PureView also comes with IP67 certified for water and dust resistant and NFC. Disclaimer: All these stuff are nothing but just an April Fools days prank, that many tech brands have played today. So, please take all this with a pinch of salt.